Christmas and Winter Wallpaper and Brush Pack - Free Photoshop Brushes at Brusheezy! These Christmas and Winter Wallpaper and Brushes have a beautiful wintery color scheme that you'll absolutely love. All four of these Christmas and winter wallpapers are decorated with intricate snowflakes and shiny ornaments, as well as tall and decorative Christmas trees. This pack also includes tons of Christmas brushes! Snowflakes, trees, ornaments - everything for the holidays! Add these to your blog or create a winter scrapbook page with these Christmas and winter wallpaper and brushes! 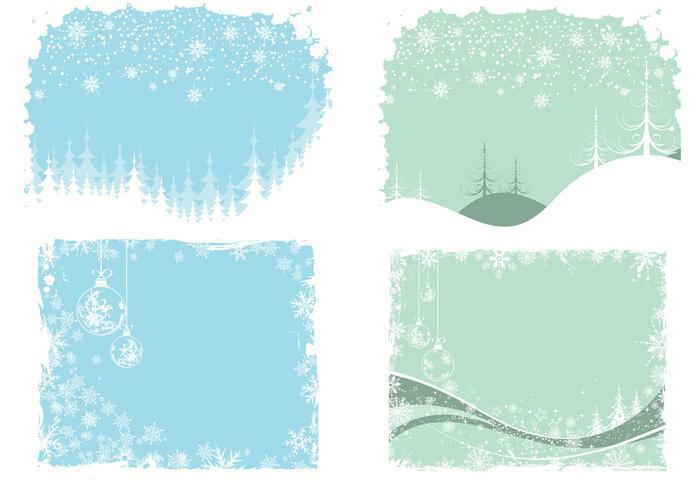 Head over to Vecteezy and download the <a href="http://www.vecteezy.com/holiday-seasonal/53358-christmas-and-winter-wallpaper-vector-pack/premium">Christmas and Winter Wallpaper Vector Pack</a>!